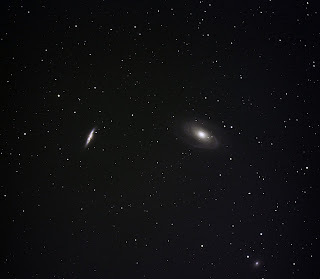 M81 group is a group of galaxies in the constellation Ursa Major (Big Dipper area) that includes both M81 and M82. 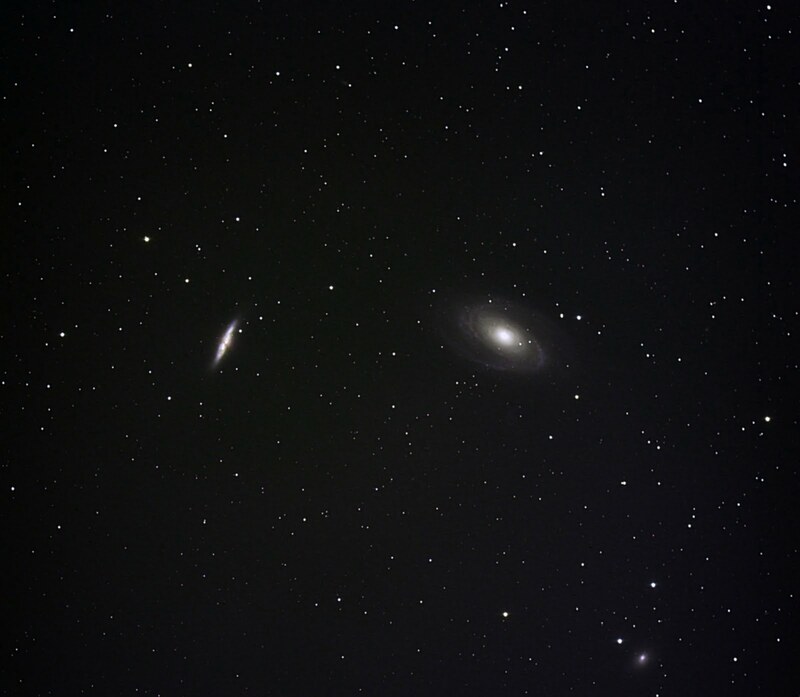 M81 is on the right and M82 is the smaller one to the left. Approximately 12 million light years away. NGC 3077 is a smaller fainer galaxy in the lower right hand corner. 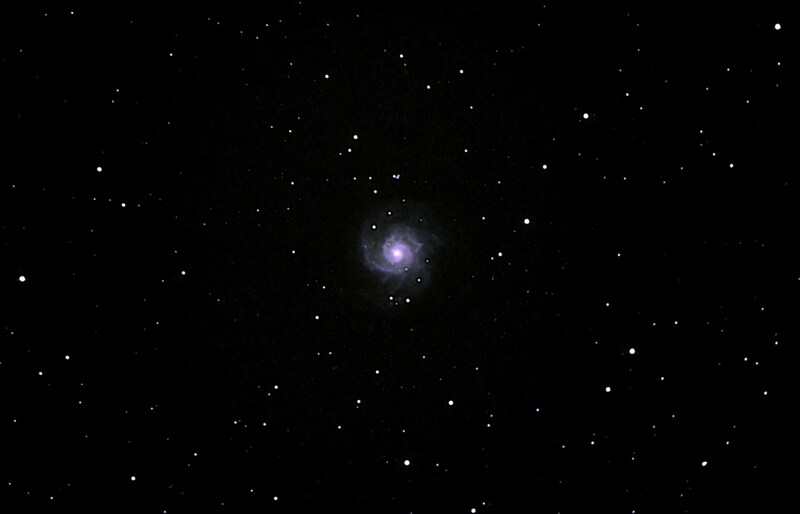 Imaged on October 30, 2011 from the Zodiac Ranch near Fort Davis, TX. 2-min exposure. Total exposure time, 22 minutes. 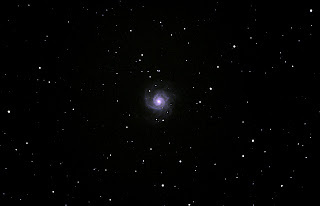 Messier 74 is a face on spiral galaxy located in the constellation Pisces. Approximately 30 million light years away. Imaged at Zodiac Ranch near Fort Davis, TX on October 30, 2011. 2-min exposure. Total exposure time was 44 min. 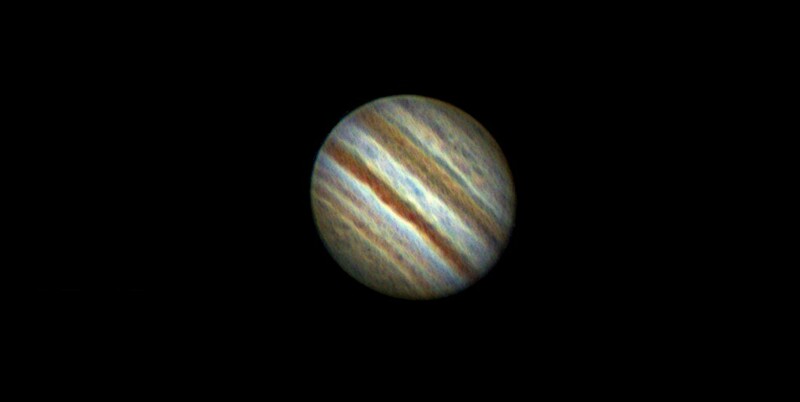 Captured using a QHY8 CCD color camera and autoguided using an Orion Star Shoot autoguider piggybacked on a Celestron 11" SCT. Our largest planet in the solar system is very close to Earth this time of year and is about to be at opposition. This is the brightest object in the sky other than the moon (for the time being anyway). This image was aquired with a Phillips TouCam webcam. It was taken at 10 frames per second for 3 minutes. That's a total of 1800 frames. Frames were stacked using software for the final result. On some nights, you can see it's four main moons (Io, Europa, Ganymede, and Callisto) cast a shadow on the planet as they orbit the planet with an 8" or larger telescope. Image was taken around midnight on September 30, 2011 from my back yard in Midland, TX. Clear skies with excellent seeing and transparent skies. Some light pollution. Used without filters and guided. Two images at once! 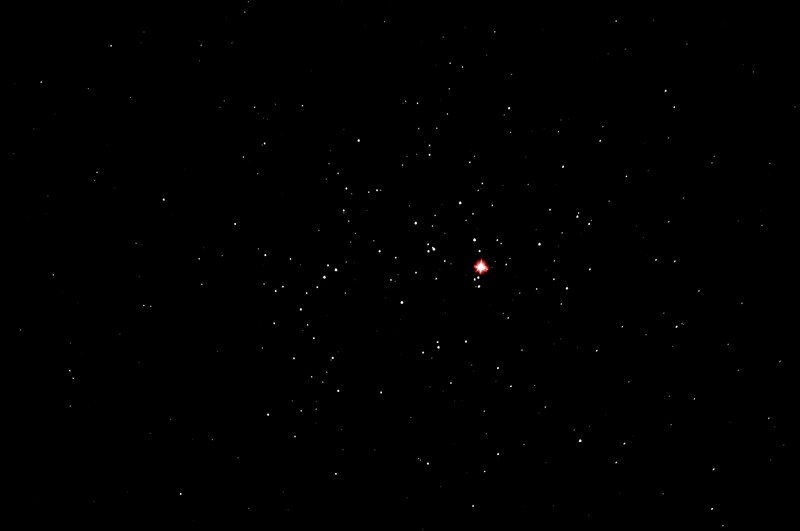 The planet Mars entered into the Beehive Cluster (M44). 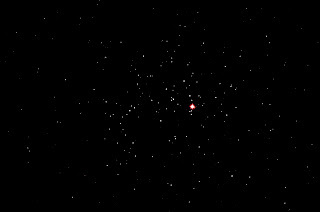 Although M44 is 580 light years away, Mars is a mere 168 million miles (approximately).